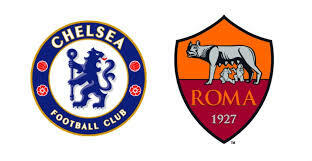 Chelsea host Roma at Stamford Bridge with kick-off scheduled for 7.45pm on Wednesday, October 18. Chelsea striker Alvaro Morata is set to return from a hamstring injury as the Blues look to maintain their 100% start to the Champions League against Roma. The Spaniard missed Saturday’s loss at Crystal Palace after he was injured against Manchester City last month. Wing-back Victor Moses has not trained since being substituted at Selhurst Park with a hamstring injury. Midfielders N’Golo Kante (hamstring) and Danny Drinkwater (calf) are out. “I could take a risk on Saturday to force Morata to play against Crystal Palace, but I’m not so stupid,” Blues manager Antonio Conte said. After wins against Qarabag and Atletico Madrid, Chelsea are aiming to extend their perfect record in Group C against second-placed Roma at Stamford Bridge. The Italians are two points behind Conte’s side after a goalless draw at home to Atletico and a 2-1 victory at Qarabag. Chelsea and Roma have met just four times before, most recently in the group stage of the Champions League nine years ago. The Blues won the home game 1-0, with John Terry on the scoresheet, before losing 3-1 at the Stadio Olimpico with Terry scoring again. Chelsea will be without central midfielder N’Golo Kante, sidelined for three weeks with a hamstring injury, and are unlikely to have Danny Drinkwater back from a calf strain. Victor Moses limped off with a hamstring problem of his own in the first half of Saturday’s 2-1 loss at Crystal Palace. However Alvaro Morata could return to add to Antonio Conte’s striking options after returning to training on Sunday. Antonio Rudiger will hope to feature against his former side, who might be grateful for his services after losing Kostas Manolas to injury in Saturday’s loss at Napoli. Patrik Schick, Gregoire Defrel, Emerson Palmieri Kevin Strootman and Stephan El Shaarawy are further doubts for the Italians, though the latter pair could be available for Roma manager Eusebio Di Francesco.